Parents often second guess themselves about sending their children to daycare. The truth is that it does so many good things for your kids. You’d be surprised at how many benefits you can reap from it. A reliable center also makes it possible for parents to go to work and support their families. A quality program will give the parents confidence. Confidence that they are leaving their children in good hands. High-quality daycare impacts the intellectual, social skills, language, and behavior of a child. There are so many benefits of letting children go to daycare. Here are the top three listed below. By staying home, kids will learn how to interact with the adults present at home. But have you ever thought about how they will be interacting with other people? They might be lost in a group. If a child attends daycare, they will learn how to adjust to a group of people and socialize with other kids. They will learn how to make friends and interact with other personalities. There may be conflicts but daycare will teach the children how to resolve them on their own. If children have been cooped up in the house, chances are they will have a harder time when it’s time to go to formal school. Children may also develop separation anxiety. If parents send their children to daycare, they will become adjusted to spending most of the day away from their parents. Plus, they will enjoy having other kids as their friends. They will become accustomed to coming home at the end of the day and sharing what happened at school. Parents can send their kids to school for 2 or 3 days a week to ease the transition. A daycare is a place where children will learn the basics of everything. The children will learn numbers and how to count them, the alphabet and how they sound, and other basic things like shapes and colors. This aspect is, after all, what everyone wants. Children will also learn important life lessons that will help them grow up to be a good person. Sending children to daycare will give them so many benefits. The children will learn so many things. Children will make new friends and learn how their ABCs. While parents will have the time to attend to household chores or work. All these things will help ease a child’s transitions from preschool to kindergarten. Child care is a big deal for both the parent and the child. It is very beneficial for a kid’s social, intellectual, and emotional health. It is beneficial for parents, too. If you think daycare won’t be helpful to you, think again after reading the top 3 benefits listed above. And if you’re looking for the best daycare for your little one, please visit The Apple Tree Learning Centers. 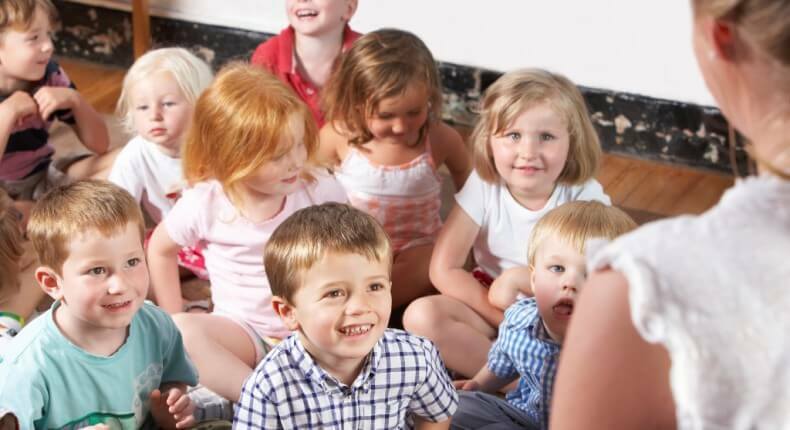 A preschool is a great place for kids to develop valuable skills and interact with peers. It is where they learn how to follow simple directions and rules, take turns and share with other children. It is also an excellent venue that prepares them for kindergarten and beyond. While preschool offers many benefits for young children, the thought of attending one for the first time may make your child feel anxious. If you take time to plan the transition, adjusting to preschool can be a positive experience. 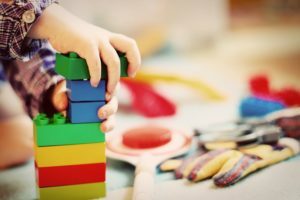 Read this article to help your child become preschool ready. One of the things that young children learn in preschool is adjusting to a structured environment. But you can make the transition easier for them by setting a daily schedule at home. Establish morning and bedtime routines. Include activities such as taking a shower, brushing their teeth and dressing up. Routines are an excellent way to teach kids the concept of time and sequencing. It helps them mentally prepare for the structure in a preschool setting. If you have the time, it’s a great idea to do a sneak peek together with your child of the school while classes are ongoing . Visiting the school ahead of time will help your child become familiar with the preschool setting. It will give them an idea of the things they can expect as soon as they start going to school. It will also help them become comfortable with the classrooms and the surroundings. Tour them around the campus and allow them to play on the playground. When they start feeling comfortable, they will realize that preschool is not a bad idea after all. Help your little one forget about their anxiety by giving them something to look forward to on their first day. You have to be excited yourself about preschool so they would feel the same. Think about some of the things that will make preschool fun and exciting for them. Are they excited about their snacks? Or playing with new friends and classmates? Or wearing their new bag and pair of shoes? Highlight these things when you remind them about going to school the next day. Rushing to school may add to your child’s anxiety. Be sure to get your child ready for school early so you get to arrive early. This will give them ample time to settle and get cozy in the classroom. Kids can hardly learn if they feel anxious and fearful inside. To help ease their anxieties, introduce them to their teacher. Being connected to an adult will make them feel safer and at ease. It would also help to introduce them to at least a few of their classmates. 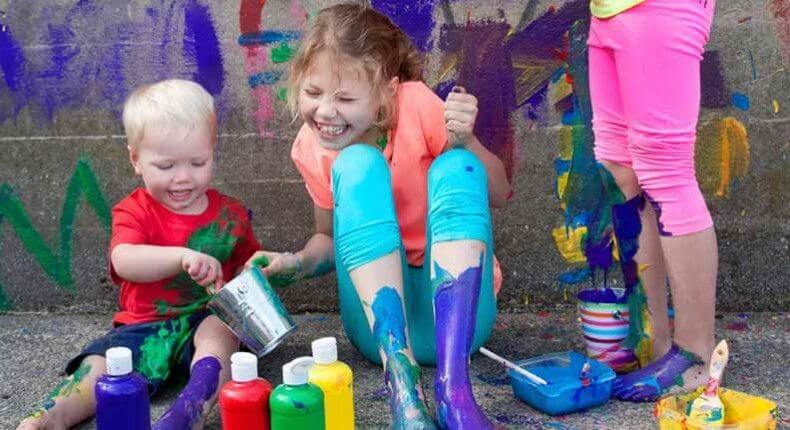 When they find a buddy they can hang out and play with, preschool becomes more fun and exciting. Young children always have fears that parents might find irrational. Know that these things are natural. These anxieties take place when children are about to face a huge transition, like attending school for the first time. When you know that your child feels worried about school, be sure to acknowledge their feelings and emotions. Don’t take them for granted. Listen to them and assure them that there is nothing they should worry about. Let them know that everything is going to be fine and that they will have fun at school. Because it is your child’s first time in school, you might want to stay a little longer until your child is comfortable. Find them a seat where they feel secure and comfortable. Allow them to interact with other kids at their own pace. When you see that they’re starting to love school, you can leave them on their own when classes start and pick them up right after. Attending preschool is a huge step for a child. Be sure to help them prepare for this wonderful and exciting learning experience by following our tips. 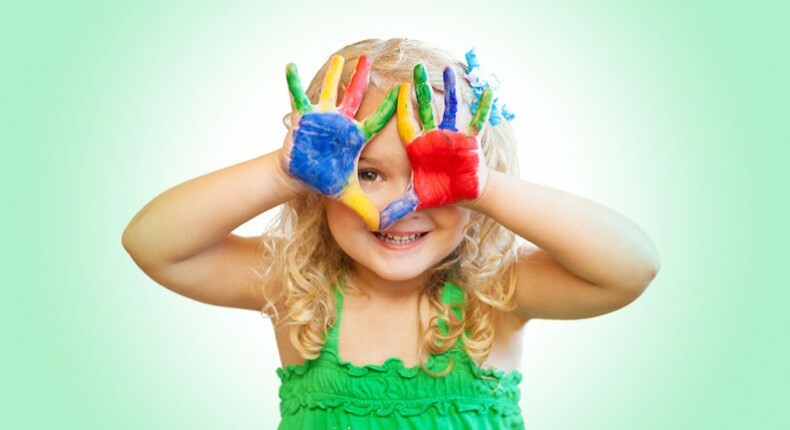 Looking for the best preschool in Tucson for your little one? Please visit The Apple Tree Learning Center. So how can parents help kids see beyond their own immediate interests and concerns? By involving their children in opportunities to volunteer their time and energies towards helping others. 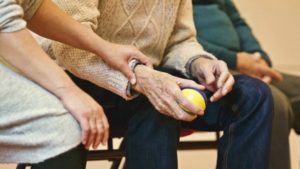 While volunteering benefits those on the receiving end – both the individuals and organizations served – it’s hard to quantify how much volunteering benefits the “giver” just as much…if not more. When looking for opportunities to volunteer, the closer your child can be to the end result (e.g. handing the sandwich to a homeless person not just making the sandwich) the more concrete their understanding will be of what they’re doing. Which also leads to more engagement in the volunteering process. Children gain confidence when they see their own contributions make a difference in someone else’s life. Their success then encourages them to look for other ways they can contribute to their communities, building leadership skills they will take with them throughout their lives. Social situations are the best way for children to learn social skills, and volunteering is no exception. When a diverse range of individuals meet through volunteering, they have a common goal in mind, however different people will often approach the same task in a different way, which can potentially lead to conflict. Children who witness – and participate in – the process of deliberation among the volunteers learn how important collaboration with others is to achieve the desired end result…helping individuals in need. If you wait until kindergarten to start your child in formal education, your child may already be behind. Studies show the benefits of early childhood education for children who go to preschool have a head start on those who do not. There are immediate benefits when providing your child with an early learning opportunity to close the preschool gap. 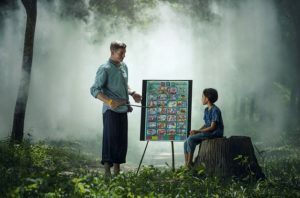 One of the best reasons to go this route is to introduce your child to formal learning. While much of the learning is done through play, it still has a purpose. 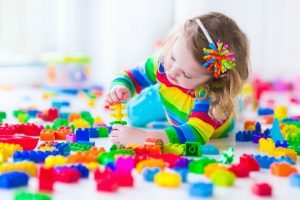 Your child will develop an understanding of the difference between play and learning play. They will also have the chance to learn in a group and become comfortable with the school setting. Learning is easier for young children whose brains absorb all the information they can. A report by the National Center for Education Statistics show 65 percent of children between four and five could recognize shapes and numbers. Other preschool vs. no preschool statistics support this finding. Preschool age children are often readier to learn than what parents might expect. Kindergarten is the place where young children go to socialize and learn how to follow rules. Today preschool also takes on the roles of socializing, playing, and learning how to be in school. Preschool lays the foundation for success in kindergarten. 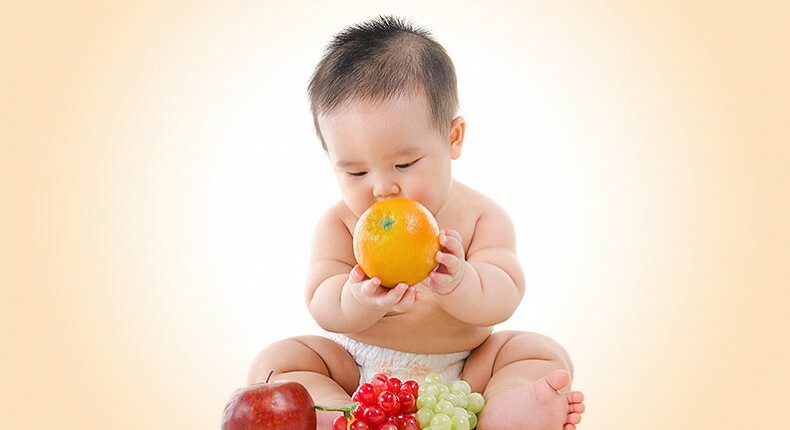 By age 5, research shows that 90% of a child’s brain has already developed. This statistic shows how vital preschool is to your child’s success. Preschool is for all young children. It has been shown to be especially beneficial poor and disadvantaged kids. The stress that accompanies disadvantaged children influences their cognitive development. Dual-Language learners also benefit from preschool. Preschool is for all kids in 3- to 5-year age range. Some kids are exposed to rich language, books, and experiences. These kids are getting early learning all the time. 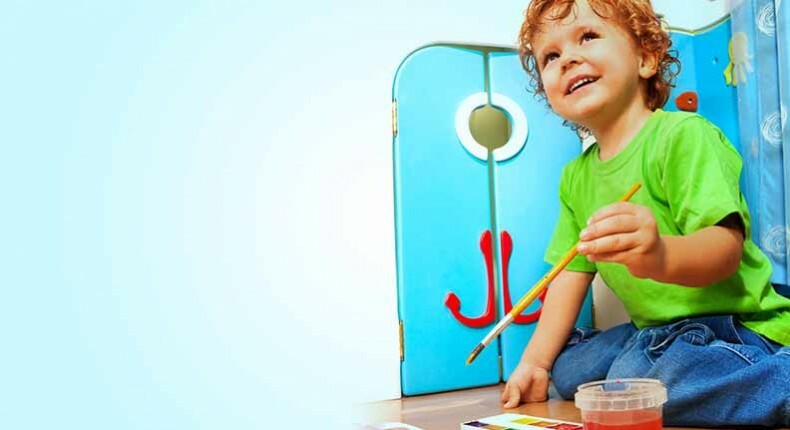 Studies show that the connection between home and school is also important for children to get the most out of their preschool years. The countdown to school should not begin in July. It should begin well before your child is preschool age. 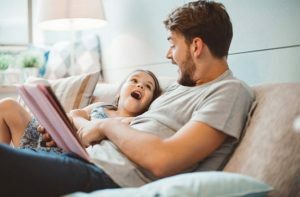 Reading to your child is one of the best activities to promote language development. 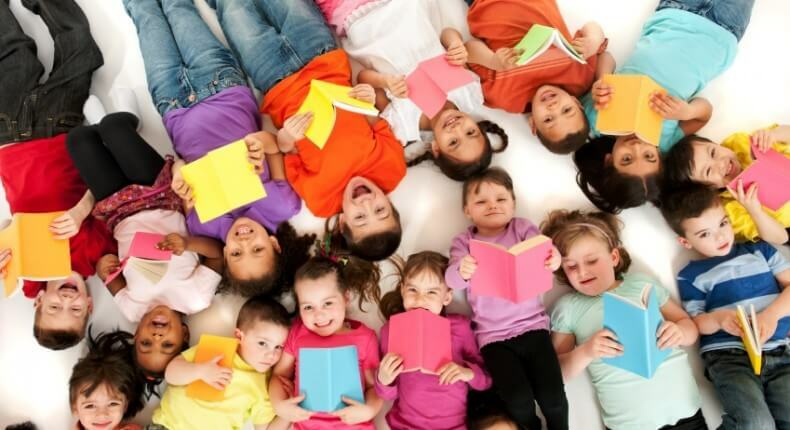 Reading every day is one of the best activities you can do to prepare your child for preschool. 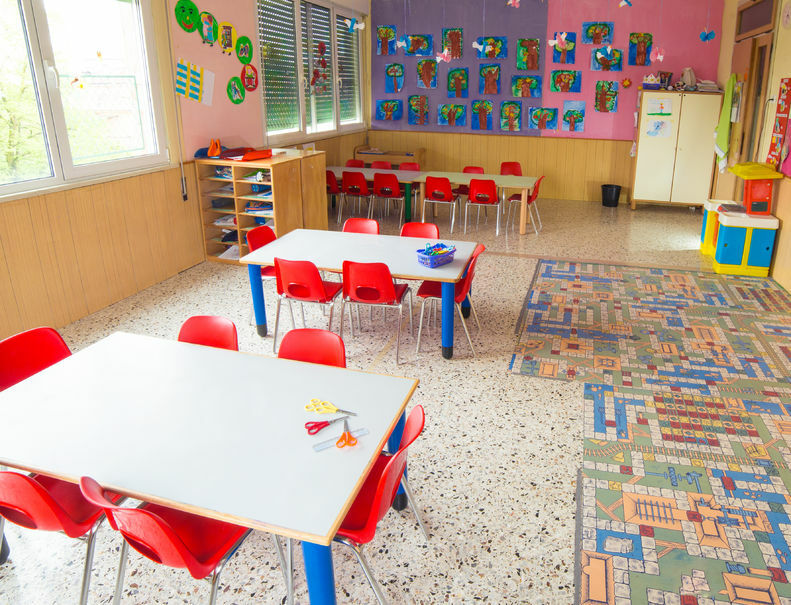 Transitioning to preschool can be difficult for kids and their families. As parents, it can be overwhelming to think about your small child heading off to school. The best thing we can do for them is to set them up for success. Going to school for the first time or going back to school after a break can be challenging. Preparing your child for these changes is vital to their success in those first days and weeks. How do we accomplish this task? Check out these 7 back to school tips for preschool parents. Under each tip is a list of back-to-school ideas for parents. Parents of preschoolers in Tucson, Arizona may be looking for reading tips to help their preschool student retain skills and knowledge over the summer break. These seven tips are only some of the ways parents can encourage their preschoolers to love learning even in the summertime. Part of making summer enrichment fun for your child is choosing preschool reading books about subjects he or she enjoys. One way to do this is to choose books about summer activities you plan to do, are currently doing, or have recently done. Going to the beach, camping, swimming in a pool, and having a picnic have all been the subjects of books for preschoolers. A children’s librarian can recommend others. 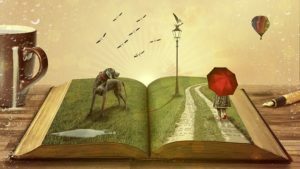 By making a book together, your family can extend the love of reading into a love of writing and using one’s imagination. 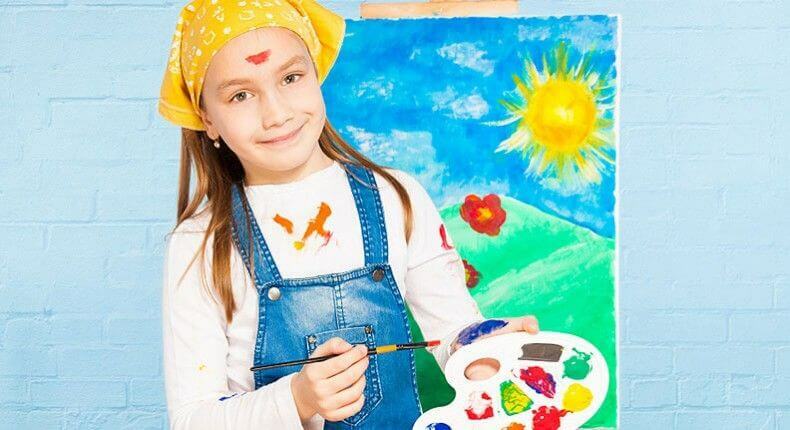 This summer preschool enrichment activity allows you and child to work together. Use things the family did over the summer, coming up with imaginative words and images to describe them. 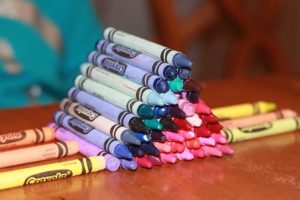 Then create a tangible keepsake that you and your child can re-read any time.